Arcturus incorporated is a relatively old company that had originally produced civilian vessels with high levels of quality and safety, after a few years of quite average buisness, one of the minor unlisted factions had gotten word of their quality and asked for a few samples. In the end Arcturus Inc. was contracted by the factions policeforce, and had henceforth licenses to produce policing vessels. At this point their income rose considerably as they had not only gotten a, at least for them, major contract but were also suggested to several other minor factions. 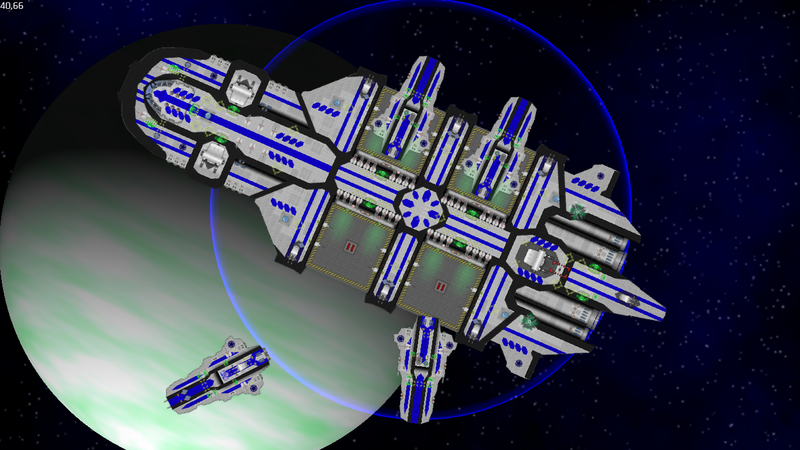 In the current age Arcturus Inc. has completely dropped it´s civilan ship production and has contracts with a large variety of minor factions and colonies throughout the sector and even a few beyond it. It´s shares are held by the contracted factions to ensure equality in services and to prevent that the company is bought by other bigger ones. 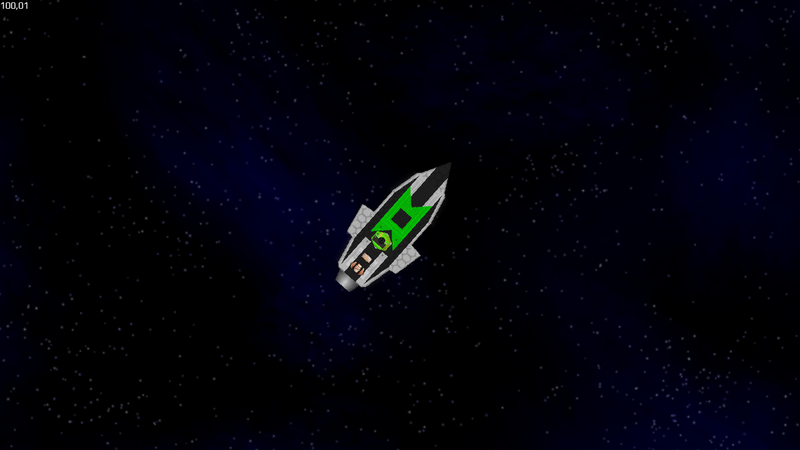 The safety standards of Arcturus Inc. have stayed high ever since and they specialized in armored patrol craft and transport vessels. 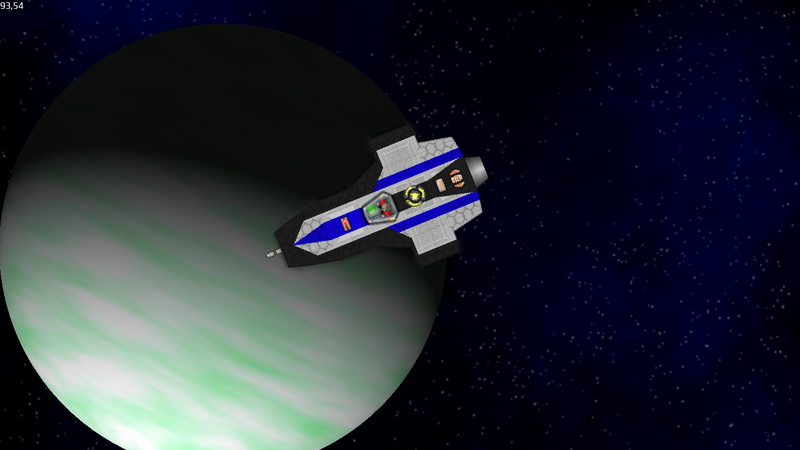 The planetary patrol craft is small and has a seat capacity of three humanoid beings, it is usually for interplanetary patrols as the name indicates, it is relatively cheap with a price of only 20.000 credits and is usually ordered in bigger quantities. It is armed with a single front mounted Ion-Pulse Gun in case a firefight should break out. The APC has a good speed, is well armored, equiped with diffusion shielding and has a turret behind the cockpit for additional firepower. It is often used for patrol, riot-control and to hunt down fugitives. 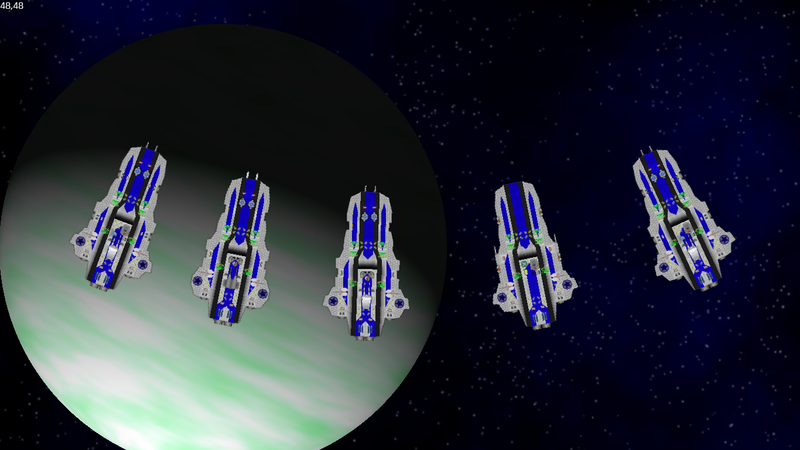 The Armored Troop Transport (ATT) might be a bit slower than other crafts but it is well-suited for moving Police troops between locations, it has hyperdrives with high ftl-efficiency, point-defense turrets, up to four laser turrets and can hold up to hundred crew and more if necessary. 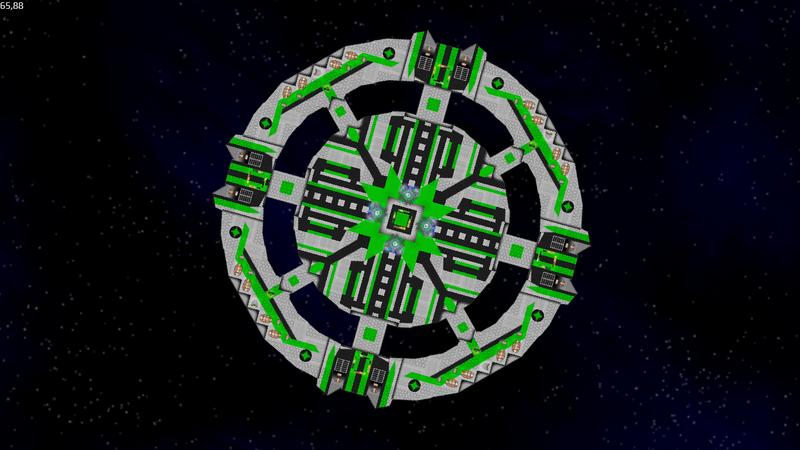 The laser-turrets are optional and modular and can be replaced with crewquarters or other things if needed, like the (APC) it is well-shielded. Can also be used as Cargoship if needed. 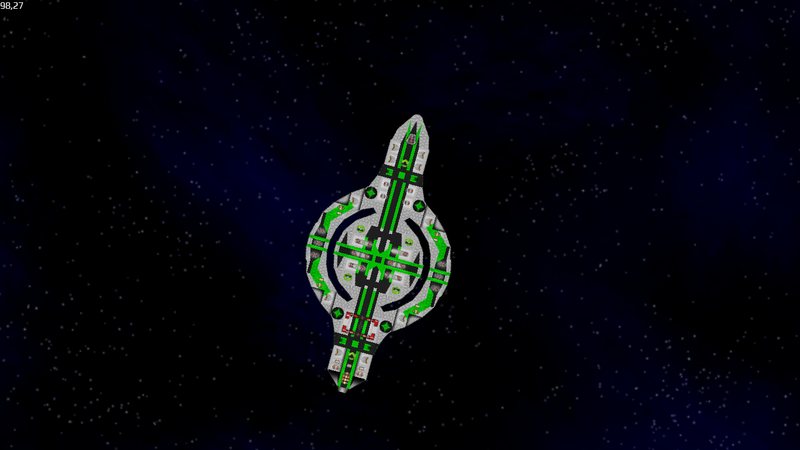 The "Arcturus" is one of our proudest achievements, which is why we gave it our companies name, with a length of nearly 60 meters, space for over 200 crew, 6 heavy turbolaser turrets and several other weapon-emplacements, it is well equipped to serve holding down prison-riots, getting rid of pesky smugglers and pirates, and other similarly dangerous operations. 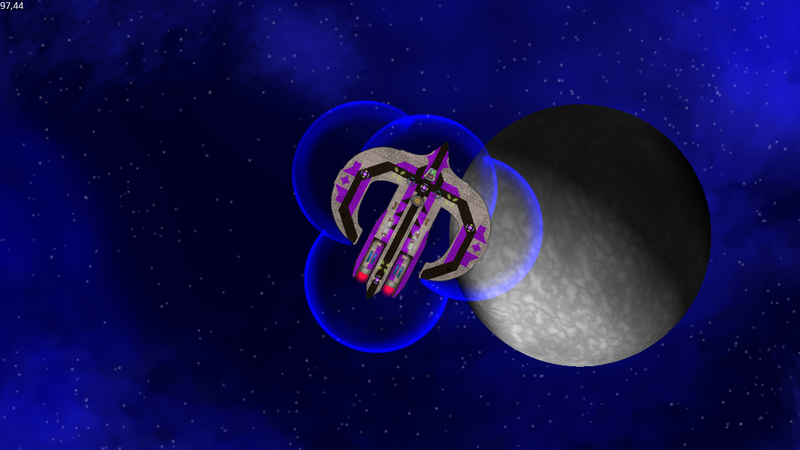 It has a decent speed for it´s size, is well armored and shielded, has pre-installed sensors, Hyperdrives and more! Please note that if you want to purchase these you will need a special gouvernmental permit. 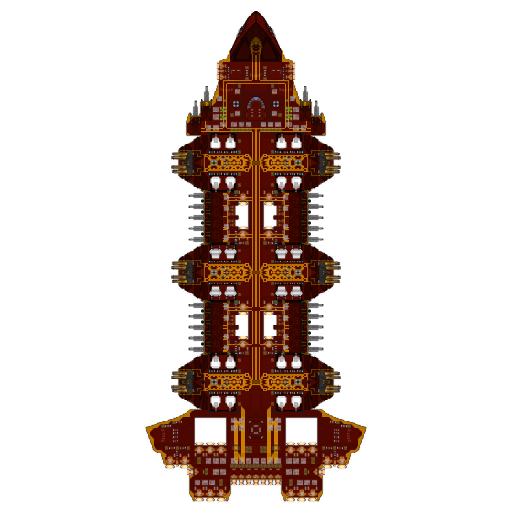 This ship has been named "Bulkhead" by our engineers for obvious reasons, it the biggest ship Arcturus Inc. produces and it´s armor can pack quite a punch, it is just as well-shielded as the "Arcturus" with additional shielding in front of the hangars, a Bulkhead carrier can transport up to four (APC)s or a whopping 16 (PPC)s.
Hangar areas can also be loaded with crewquarters or cargoboxes so it is the best allround craft for moving police-assets. While it is slower than the "Arcturus" this is neglieable considering it is nearly 30 meters longer, putting it at nearly 90 meters. 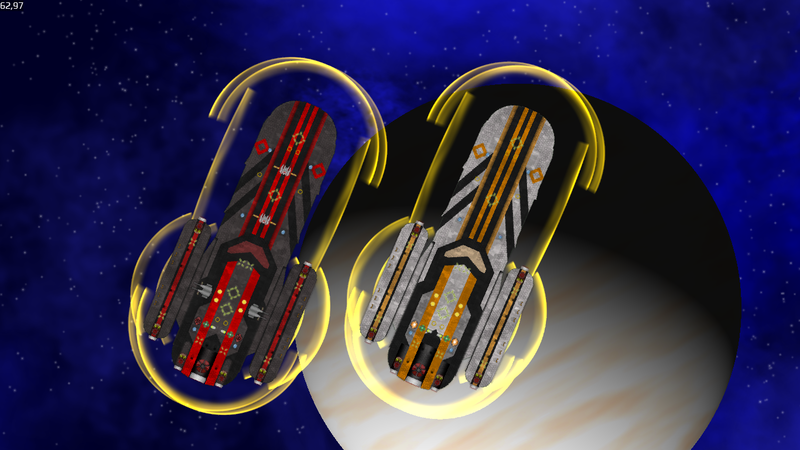 Due to it´s nature as carrier it´s weaponry is lighter than that of the Arcturus, but it is capable to engange enemies from all directions, the craft is usually used to move assets ( as mentioned before) and has proven itself quite useful for long Patrol routes as the carried supplies and other patrol-craft can make it quite versatile. Arcturus Inc. looks forward to working together with you! Quint-Celestial was originally just a small group of companies founded by a young noblewoman with the simple goal of making a ship befitting her image of "luxury". Just how successful her endeavor actually was showed once the first few in her eyes "failed" prototypes were sold, to other individuals of equal standing or wealth, they fetched some rather horrendous prices. Looking at that success orders to expand had soon been given and so teh shipyards grew, though just enough to be still exclusive, while the rest of the company worked on new designs. The average waiting for a single craft is approximately 2 years unless you have close contacts in some rather extraordinary positions. AS for the noblewoman she celebrated her 27th birthday recently and has reached her goal with the Starliner "Celestial Dream" which she has been residing on since it had passed the tests, now even more wealthy than when she started her search. The "Twohorn" was one of the first crafts that passed the ladies excessive tests and is the space equivalent of classic sportscar. It has Vector- and steering thrusters for good manouverbility and is equipped with frontal shielding to avert debris and other particles that could get into your way while enjoying your fly. 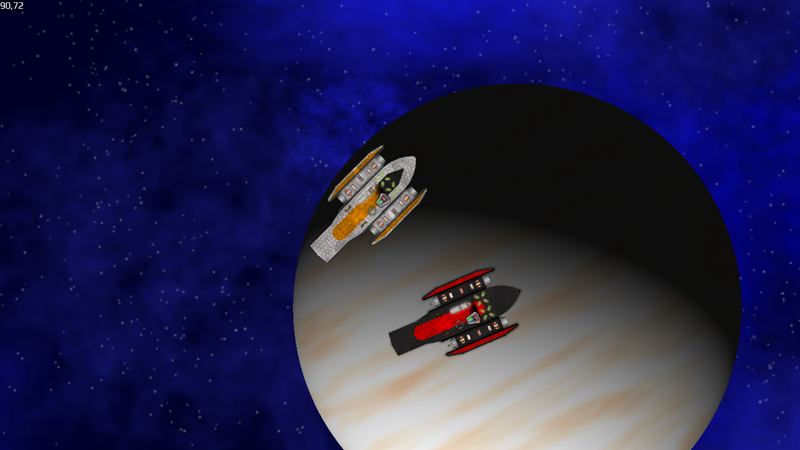 The Twohorn is capable of spaceflight and therefor a good choice when you decide to watch the stars from a planetsight, a spacestation or your personal carrier, however the standardmodel doesn´t have jump- or ftl-drives, they can be ordered in addition however. Comes with built-in real-leather massage-seats, fire-extinguishers, ambient-lighting, holo-display and more. The "Mercury-Trimaran" is the successor of the "Twohorn" and is more suited if what you seek is speed instead of the classic sportscar feeling. With stronger engines and an array of steering thrusters it is quick and mobile, count it´s 360° shielding to that and you have the perfect craft for driviong afew races around the sector with your friends. It has built-in fire extinguishers and sport-seats and it´s sleek design made it quite popular with the more racing oriented nobles out there. While the "Astralglider" might seem a bit "bulky" initially, the aldy has taken a liking to it´s fluid-design, it is less of a sportscar, but instead more likely a luxury-camping-van, even though it still has a decent speed. The "Astralglider" comes with a bathing room, toilets and two bedrooms by default, the quality of all of which has been tested by our founder personally and is perfectly fit for vacations with your friends, partner (or partners). As for the safety of the ship it has like the "Mercury-Trimaran" 360° shielding and two inbuilt energy-flare dispensers in case issues arise and is, unlike it´s predecessors, equipped with jump drives for longer travels. The "Silverwing" is one of the first mid-sized ship Quint-Celestial had constructed and the lady immedietly liked it´s design. It has enough space for fancy dinner parties, business meetings, or just lots of personal space. It´s protruding main-bridge is perfect for watching the stars pass by while traveling, though it has additionally two secondary bridges near the mainbody of the ship, instead you can also take a closer look at the stars directly on one of the two spacewalks on the outer side of the wing sections! 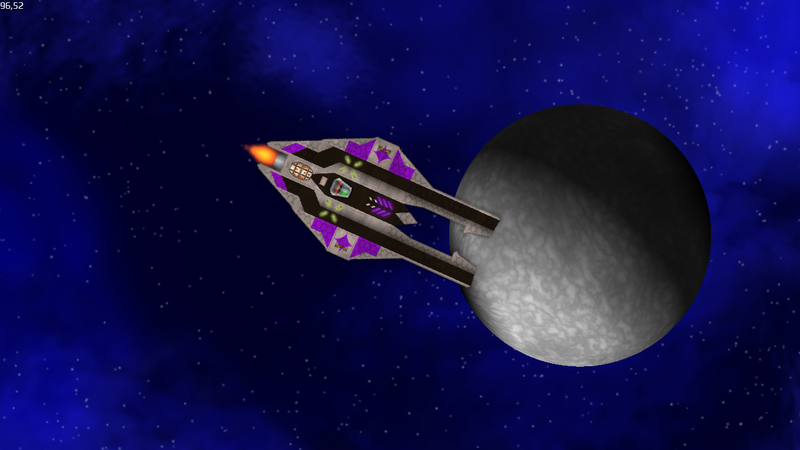 The "Silverwing" is equipped with full shielding and has several automated point-defense turrets and energy-flare dispensers, to add to it´s defense and is fully ftl-capable, an array of steeringthrusters take care of a smooth flight-experience. The "Trihorn" is the successor in name to the "Twohorn" and in function to the "Silverswan", with even more available space, and with it´s large external terraces protected by shield the nightsky becomes a sight to behold! It reaches breathtaking speeds and would be likely the equivalent of a private-jet, even though this is considerably more fancy, obviously. With a built in kitchen a total of 8 bedrooms, two bathing rooms and various other quality of life installments it is sure to impress your friends! 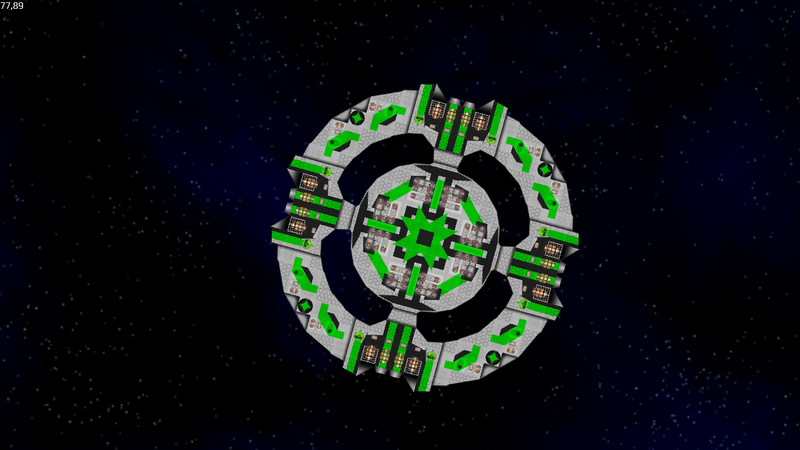 For safe travels the ship has a several automated point-defense turrets installed aswell as full shielding and additionally a large frontal diffusion shield which makes space-debris a laughing matter! Have you ever been tired, of being stuck on your spacestation, or your luxury-villa on your personal planetoid? Then the "Silverswan" is the answer! The "Silverswan" is Quint-Celestials largest purchasable spacecraft and is well equipped to fulfill all of your everday needs! It is equipped with various bed-, bath-, and livingrooms a professional kitchen, food replicators, a small ballroom, which can also be used for conferences or business meetings, several small space-walks, a panorama view on the bridge and much more! Additionally to that it has a landing pad in the back-section in case you need to head to any important meetings, go for a shopping trip, or just want to take a cruise with your personal spacecraft! The "Silverswan" has state-of-the-art shielding, is equipped with a decent amount of automated point defense turrets, has a impressive top-speed for it´s size, is fully ftl-capable and still keeps it´s extravagant shape with all these extras! The Starliner "Celestial Dream" is the pinnacle of Quint-Celestials space-engineering efforts and the current residence of our founder, with an impressive length of 360 metres and a total of 20 floors, it truly is a domain to behold! The Starliner boasts a vast amount of readily available leisure activities, reaching from golf, over swimming to dinner parties in open space under redundant environmental fields and due to the total of 8 docking ports in the backsection you can come and leave whenever you want, there is even a large ballroom at the top of the ship! A vast amount of thruster-arrays, impact-dampeners, artifical-gravity generators and even gardens can sometimes make you feel like you´re not even in space! Access to this dream is only permitted by the lady herself or for a price of 100.000 credits per week per person. 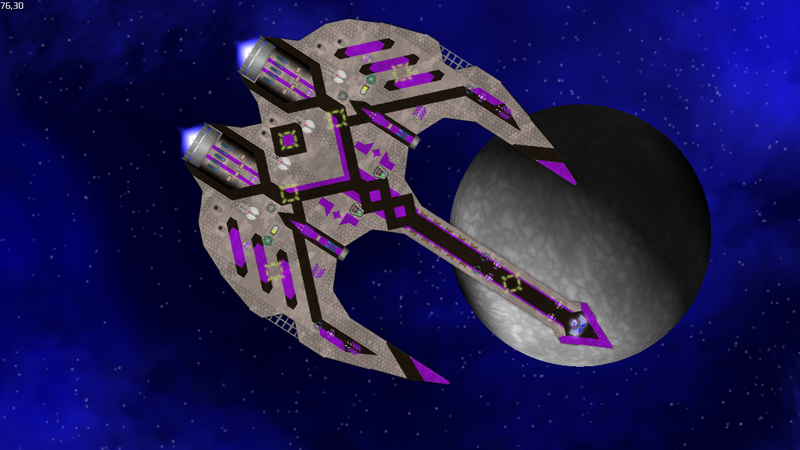 The Quint-Celestial Shipyards are waiting to fulfill your dreams now! 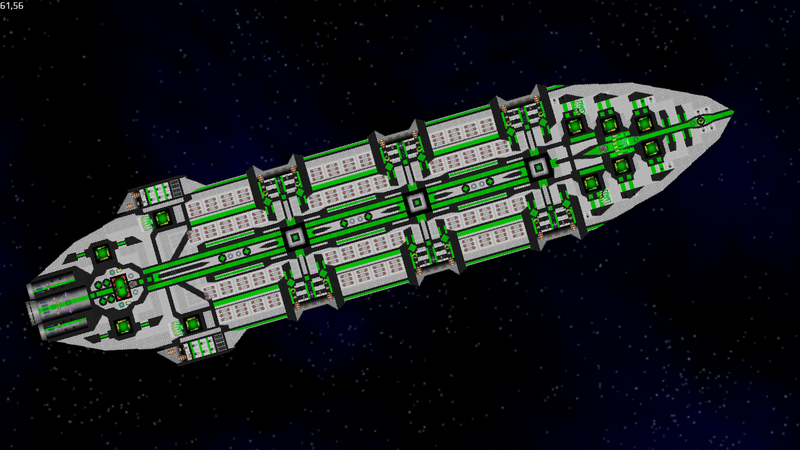 Tetran Co. is a group of shipyards that had split from a bigger faction in a move for indepency after a civil-war. Originally having been a supplier for military equipment Tetran Co. retained it´s license for weapon production and is one of the rare shipyards from which a civilian can actually get an armed ship...if he has the right licenses. Logically those cases would not be enough for an corporation like Tetran to sufficiently finance itself so they expanded upon that, in the end they had redesinged many of their ships, toning the military aspect down and going more for the civilian needs, ending up with an armed and unarmed version of every single one of their ships, variations are minor, though the unarmed version usually have more crewspace and more missile defense measurements. 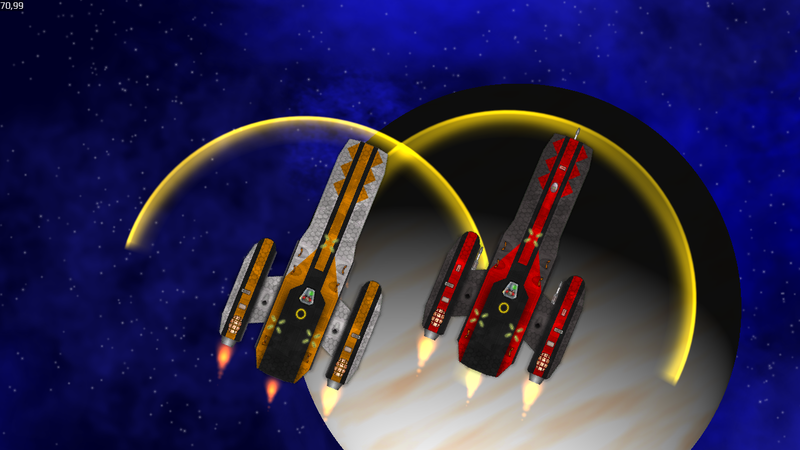 The unarmed versions are usually quite safe, have a decent speed and can be purchased by anyone given sufficient funds, however if you intend to purchase an armed Version of a ship, please note that you will need a weapons license for the corresponding shipclass and a psychological assessment. 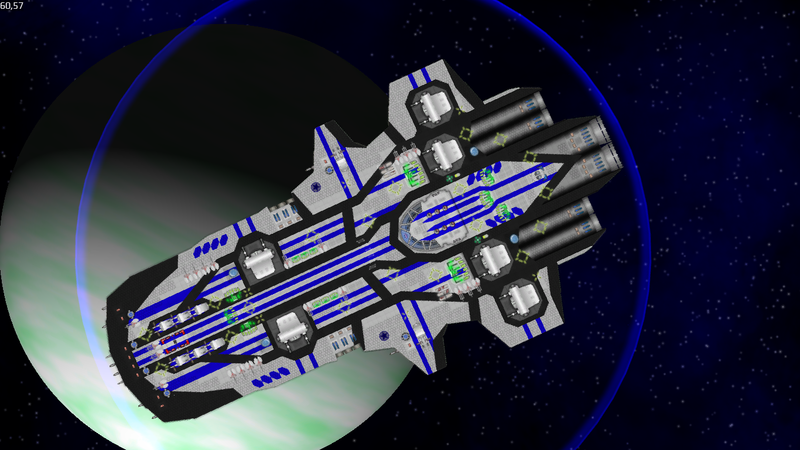 The "Starsurfer" is a former planetary reconnaisance craft that has been retrofitted to follow civilian standards. It has a decent speed, a jumpdrive and an appealing shape. It has been one of the first ships which has been retrofitted after Tetran Co. had made itself independant from the military, due to the need of a small allround craft that would sell well in the first few months, to finance otehr retrofits. 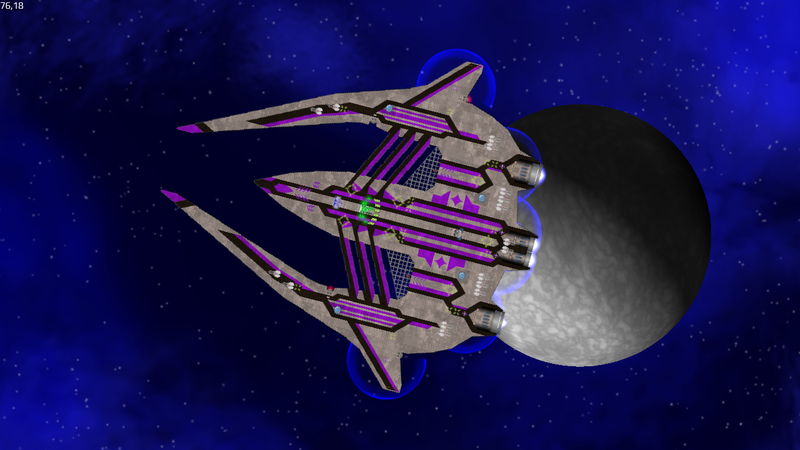 The armed version has a lasercannon mounted on each wing, though please note that these are only meant for self-defense in emergency cases as the ship has no shields. 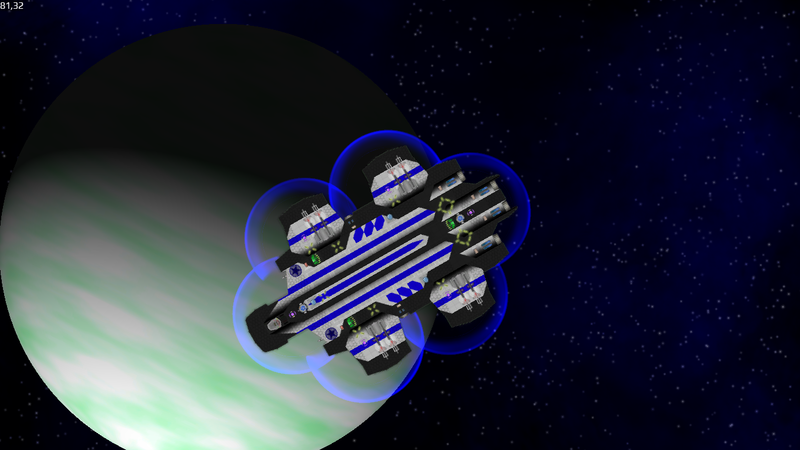 The ship is fit for outer orbital flight but not for outer space, the Jumpdrive is only meant to travel from stations and planets to other stations and planets. The Novasurfer had been the answer to the need of higher crew-capacities, as well as better safety standards and is the direct successor to the "Starsurfer". It has considerably more speed than it´s predecessor, is better armored and is equipped with a frontal shield, as well as flare launchers for both versions. All in all it is still a good allround craft, with a decent size which is still viable for civilian households, without going overboard on parking space. The armed version of the craft comes with a total of three laser cannons and even an (optional) torpedo launcher for those times when you need that extra "oomph". After Tetran had established with it´s new designs the demand for new and specifically bigger ships quickly rose so from the money they earned with the first few models they started building an entirely new ship design, while it retained the typical Tertan Co. look it is, unlike the earlier ships not a retrofit, but in fact completely built from scratch. 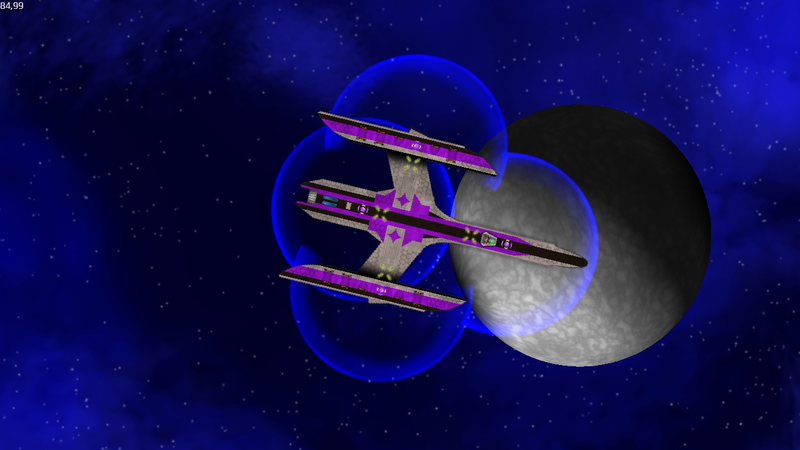 It has a total of four shield generators, two of which for each side, just as an automated sensor system. While the civilian version has more space for a better main reactor due to the obviously missing weaponry, the armed version has still a sufficient energy supply. The armed version comes with two side-mounted laser cannons and a roof-mounted double laser cannon. After the success of the Skyweaver, Tetran continued it´s work and started looking into new business areas, eventually they ended up with "public transport". 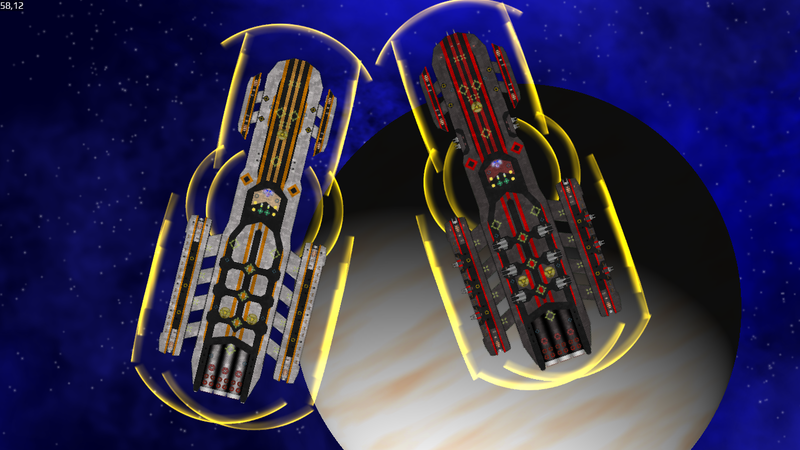 As building larger vehicles from scratch would likely require some more funds they instead resorted to retrofitting older ships again, specifically an pre-civil war armored troop transport that had been rather successful in it´s days and only a few months of work later the first "Spacefalcon" left the shipyards which had already been taken by pre-order. The Spacefalcon has redundant shielding aswell as additional armor and an array of flare-dispensers and the unarmed version can even fit more than a hundred passangers. On the counterside the armed version has two of the roof-mounted double laser turrets and two splitfire repeaters in the the frontal area for which Tetran even made a new contract with one of it´s weapon suppliers. After the "Spacefalcon" Tetran made several attempts to crate similar bigger ships to get a better foothold in the civilian transport area, though many of the prototypes didn´t pass the tests and those that did, didn´t fit into Tetrans past designs. That changed when the "Dalion" made it´s first appearance in the production halls, it passed all tests with waving flags and even fit with Tetrans design-shemes, making it the perfect candidate for Tetrans new mainline. It had redundant shielding, sufficient armor, a vast array of steering thrusters for a smooth travel, decent main engines, an abundancy of flare-dispensers and everything else you would want. The armed version comes witha total of six roof-mounted double laser turrets, eight fixed laser cannons and another eight small side-mounted double laser turrets making it one of the safest ship in the civilian travel department. Future tech is a company which has surfaced only recently with the help of a variety of investors which see a business model with high potential in FT´s products. Due to massive amounts of civilian and planetary traffic, said traffic has become a severe issue on many population centers across the galaxy, at exactly this point Future tech came with their idea: standartized automated public travel systems. Unlike with a high number of personal craft there are little issues in dealing with traffic of individuals and traveling times can be streamlined due to better control of the traffic. DIfferent models and sizes help with splitting up the traffic and bringing everyone to their desired target in time. The installment of such a system usually requires the permission of a planetary gouvernment, automation and control is handled via several massive servers, which logically have backups and failsafes installed, additionally to that is is required to implement a docking, landing and recharge pads for the craft at key-positions, included in the system are also automated maintenance and repair drones for the system, due to the lack of drivers and other interferences dormant craft can be stored either underground or in large orbital depots without issues. 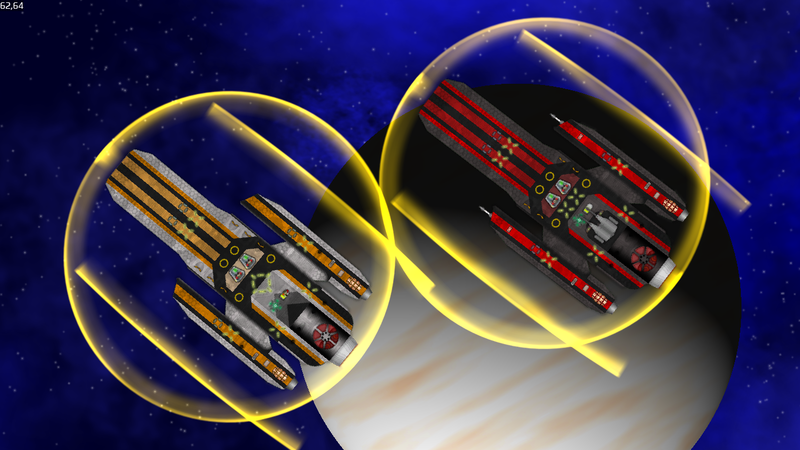 Interplanetary automated travel systems are also offered but are currently still in the testing phases. 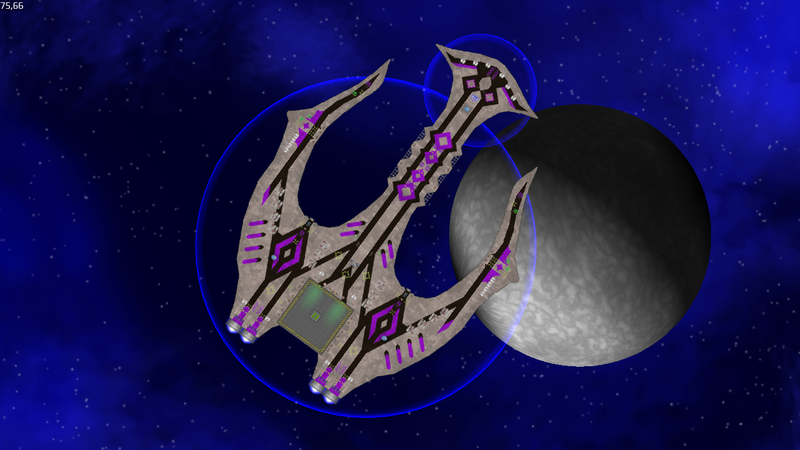 The Personal Transprt Drone is a ship from the beginning of the company, having served for the initial testing phases on small planetoids which had been rented for field test purposes. The function of the craft in this case is more of that of a taxi rather than a personal vehicle, however, given the permit personalized versions can be purchased from the company if the infrastructure is alrady present. Can bring 1-6 people to their desired targets, voice-activation is included but requires a specialized language-package for your race unless you rely on galactic-standard. This is the smallest variation of the "Public Transport Disc" (short: PTD), with the goal of omni-directonal mobility in mind and modern technology at hand this proved to be one of the most effective designs, they can reach high speeds without issues while maintaining a decent amount of mobility. It can hold up to 100 individuals (50 in case of longer travels) and is remote controlled by the local Future-Tech Servers, serving as what would be best described as "bus". This version of the PTD is likely the most common one, it is slightly slower than the (S) version but still maintains an exceptional speed overall. It has a carrying capacity of 200 individuals (again, 100 in case of longer travels) and relies like it´s smaller version on the support of the local servers and infrastructure. A note about safety procedures: Should the unlikely case of a complete server breakdown occur, as unlikely as this is, All active craft will automatically search for a suitable landing spot until the servers are back online and communicate with each other to avoid crashes, it is advised to pre-determine these landing areas in case of of a server outage, or emergencies like calamities. The largest currently available version of the Public transport disc, any further upscaling proved to show issues with the network and logistics. 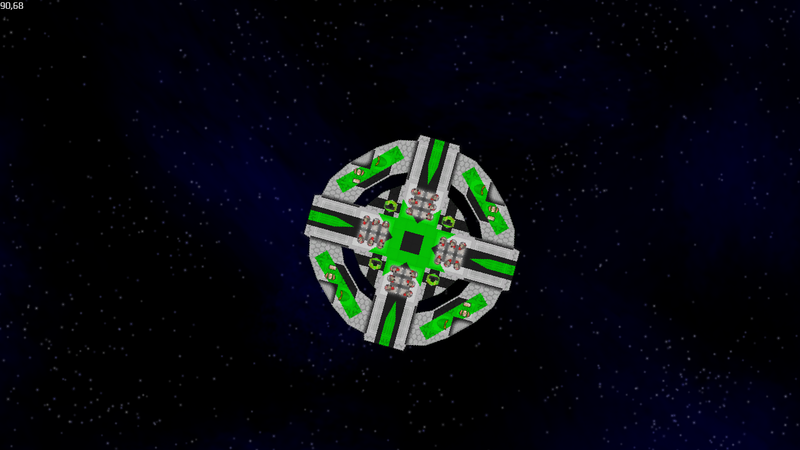 It can hold up to 600 individuals and is capable of long-range travel suitable even supermassive planetoids. In the top center of the disc there are four manual controlling stations installed for safety reasons, to provide manual controls in case of emergencies, however the craft is perfectly capable of autonomous service. It´s best use is in large centralized traveling hubs and on seperated traveling lanes as it´s speed is slightly lower than that of the smaller versions. A variant of the PTD (S) used specifically in the tourism sector, it has a comfortable interior with storage for longer travels, it comes with an onboard tourist-guide-AI andcan be programmed with with tourist tours and guides to famous sights from across the planet. It has space for 30 tourists and has a controlroom for manual control of the craft. Please note that Future Tech cannot be held responsible for damages caused by "adventurous" tourist groups. 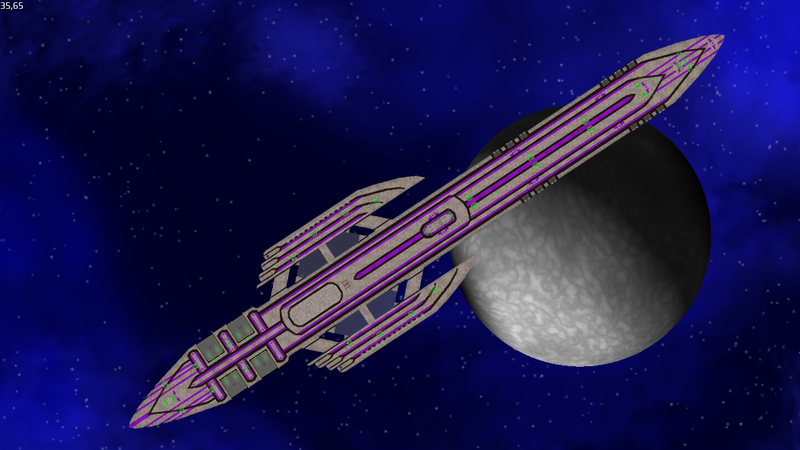 The Interstellar Civilian Carrier, or ICC short, is the current prototype for autonomous interstellar travel, it is capable of entering Hyperspace without issues and it´s Hyperdrives are of high quality, making the travel relatively short. The craft is modular and comes with a traveler capacity of 400 individuals per segment, while the average size is at three segments it can go from one up to five with a total capacity of 2000 travelers. While the craft itself is automated, a certain amount of educated board-personnel is required for service, support and maintenance and in case of emergencies. Due to civilian standards the ship is unarmed and therefor it is advised to travel only on safe Hyperspace lanes. ...also, I generally don´t take custom orders. Why is it a "Civilian shipyard" then? Amazing_Goob Special case, it´s not military but not entirely civilan either as Arcturus makes craft for police/law enforcement. A normal civilian cannot purchase these but it´s still "civilian" shipyards. brank You cannot buy anonymous and you need a gouvernmental permit and a contract beforehand. Which means you´ll have to contact them directly and not just send a transmission off into the void between the stars. They are under no Nation, so no need for a permit, and if they must they can warp in within 2-3 days. brank If they are under no nation, then they´re not permitted to buy. brank Because what you´re trying to buy are officially registered law-enforcement on policing vessels, you wouldn´t want just anyone flying around in one of these things and pretend they´re part of your internal police forces, would you? Therefor an official contract has to be made and they need to have gouvernmental permit and proof that they´re part of an official law-enforcement Institution. There is no way around that. 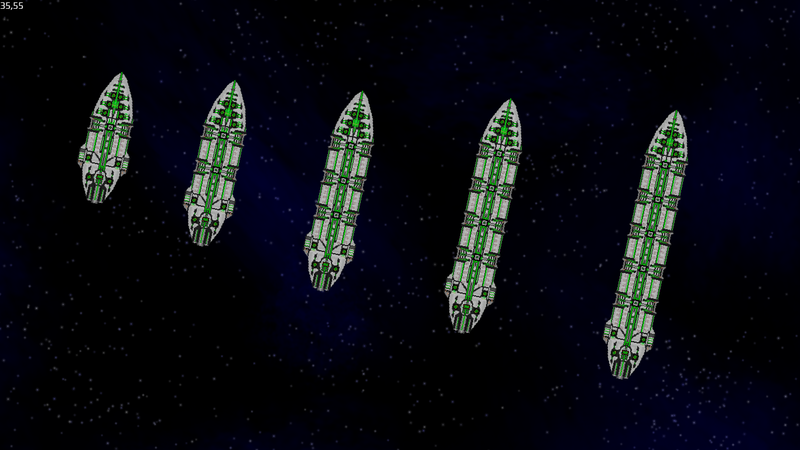 There will be more shipyards coming soon with actual civilian vessels. Just looking at the Celestial Dream makes me want to make a pirate faction just to steal it.